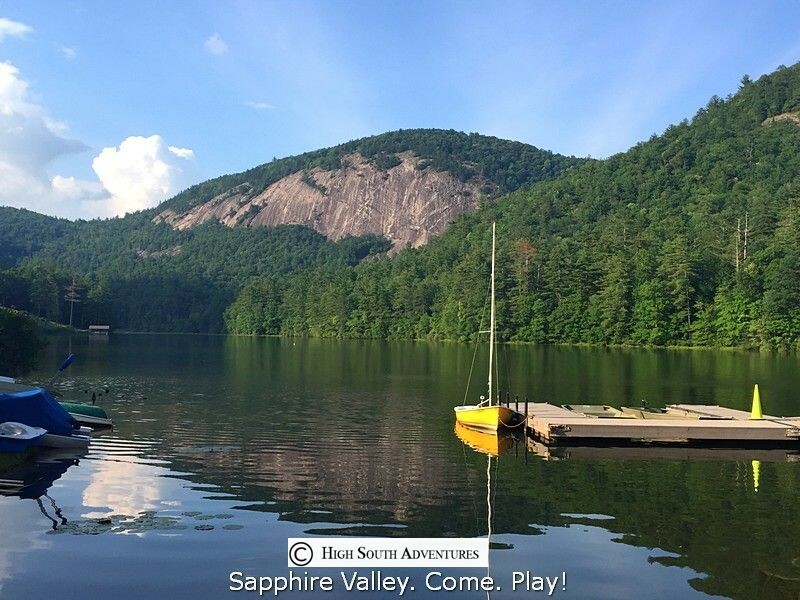 The Sapphire Valley area is a natural habitat for the black bear. There are numerous bears that are hoping to find a snack in the trash bins near the Community Center and Recreation Center and other areas of Sapphire Valley where trash is in abundant supply. Bears are, by nature, timid – but won’t hesitate to defend their space. If this note entices you to come to the Community Center or Recreation Center to view the bears – please stay in your car or come inside one of the two buildings. Public Safety is authorized to cite anyone endangering themselves. HISTORY AND STATUS OF THE BLACK BEAR ! Before Europeans came to the New World, black bears lived in all forested regions of North America and were abundant in the area that would one day become North Carolina. However, like mountain lions and gray wolves, black bears were often killed by early settlers to protect their families, crops and livestock. In time, bears across the state were impacted by human development. By the early 1900s, black bears were found only in the most remote mountains and coastal swamps of the Tarheel State. Compounding the decrease in available habitat, the American chestnut blight (a tree-killing fungus) hit the mountain region in the 1920s, causing the loss of the most important nut-producing tree for bears and other species of wildlife. As a result, bear populations suffered. Mountain lion and gray wolf populations never recovered, but the black bear has made a remarkable recovery in both population and range over the last 30 to 40 years. Bears have come back to North Carolina without the aid of stocking efforts like those used to bring back wild turkeys and white-tailed deer. Black bear expansion has occurred naturally as bears have moved into suitable, but previously unoccupied, habitats at a rapid rate. Today, there are approximately 15,000 bears in the state, occupying about 60% of the state’s total land area.. The black bear is an omnivore with a diet of both plants and animals. It varies in color: in North Carolina, the black bear is usually black with a brown muzzle and sometimes a white patch on its chest, commonly referred to as a chest blaze. In other areas of North America, black bears can be a very common brown color or a more rare blue and white. All bear species have five toes on each foot and each toe has a sharp curved claw enabling the bear to feed on insects and grubs in decaying logs. Black bears rely mostly on their sense of smell and hearing due to poor eyesight, but are adept at climbing, running, swimming and digging. They have been clocked at speeds of 35 miles per hour over short distances. Bears prefer large expanses of uninhabited woodland or swampland with dense cover. In the east, lowland hardwoods, swamps and pocosins, provide good bear habitat. Recent research has shown bears to be much more adaptable to habitat changes than previously thought and some bears have adapted to living near developed areas. Bears put on additional weight in autumn to prepare for winter denning. They build dens in cavities of live trees, hollow logs, caves, rock outcroppings, cavities in the ground, or in a thicket. Usually black bears construct nests of leaves, sticks, and grass within the den, which often resemble giant bird nests. In North Carolina, den entry can occur as early as November or as late as January, though male bears in the coastal plain region may active throughout winter. Most North Carolina bears emerge from their dens in March or early April, depending on the weather and mobility of their cubs. Bears live in many North Carolina counties, and they are not usually dangerous unless humans feed or provoke them. Enjoy this rare chance, but from a distance. The bear in your backyard may be dispersing through your neighborhood or searching for a mate. It will not stay in a settled area unless it finds a reliable food source. If you are one of the lucky people to have encountered the bear, observe it at a safe distance and appreciate the opportunity to see one of North Carolina's largest native mammals. Don’t run away. Make the bear aware of your presence speaking in an assertive voice, clap your hands, wave your arms above your head to try to make yourself look bigger and make a lot of noise. Back up and slowly walk away. Never surround or corner a bear. If you happen to meet a bear at close range, back away slowly and make lots of noise. Never feed bears or any wild animals, even if they look hungry or tame. Take extra precautions not to feed bears accidentally —bears are attracted to garbage, food scraps, pet food and many other forms of human food. Keep such foods locked away from bears in strong, safe places. Bears that wander into a residential area are sometimes frightened by dogs or residents and climb trees. Keep people away from the scene and the bear will come down and leave when it no longer feels threatened (often after dark).